New Delhi, August 14: With an aim to bring a massive boost in the armoury defence forces and meet their immediate requirement, Defence Ministry on Monday accorded approval for the procurement of six indigenously designed and manufactured Next Generation Offshore Patrol Vessels (NGOPVs) for the Indian Navy. 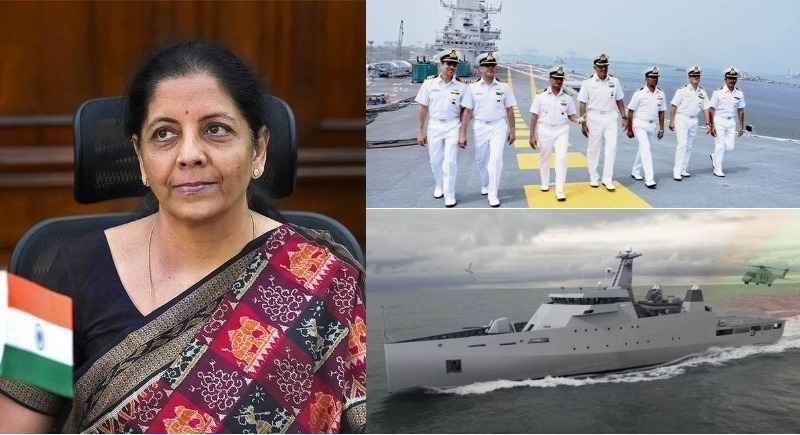 The Defence Acquisition Council (DAC) chaired by Raksha Mantri Nirmala Sitharaman accorded approval for the procurement of six indigenously designed and manufactured Next Generation Offshore Patrol Vessels (NGOPVs) for the Indian Navy at an approximate cost of Rs. 4941 crore. The NGOPVs will be built in indigenous shipyards and will be fitted with state-of-the-art sensor suite with increased endurance. These platforms will strengthen maritime security by undertaking a multitude of operational roles both in blue water and littorals. These include seaward defence, protection of offshore assets, maritime interdiction operations and search & seizure operations, surveillance missions, mine warfare, anti-piracy missions, counter infiltration operations, anti-poaching/trafficking operations, humanitarian assistance and disaster relief and search and rescue missions. In June this year, the Raksha Mantri accorded approval for the procurement of equipment for the Defence Forces valued at over Rs 5500 crore.